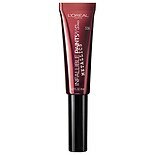 Shop L'Oreal Paris Infallible Pro-Matte Liquid Lipstick 356 Deeply Disturbed (.21 oz. ).21 oz. 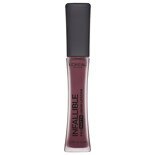 Shop L'Oreal Paris Infallible PAINTS/ LIPS Metallic 336 Liquid Venom (.27 oz. ).27 oz. 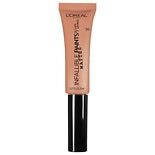 Shop L'Oreal Paris Infallible PAINTS/ LIPS Matte 340 Skinny Dip (.27 oz. ).27 oz.